It was only a few months ago in a post titled Decisions, Decisions... Well, You Get the Point, I wrote about the decisions we have to make as photographers. As a quick reminder, these are not decisions about camera settings, etc., but the decision of where we choose to photograph from. And now I have the answer to the question of can you be in two places at once. How to be there - and also there. The answer came in the GoPro HERO3+ Black Edition , and not only can I be in two places, but if needed, be in three, or even more places at the same time. To be fair, photographers have been using remote or remotely triggered cameras long before GoPro came on the scene. But with the low cost, high quality and ease of use of GoPro cameras, it has never been easier to work with remotes. Just prior to lift-off I triggered the GoPro and it is already taking a still image every five seconds allowing me to concentrate on photographing everything else. 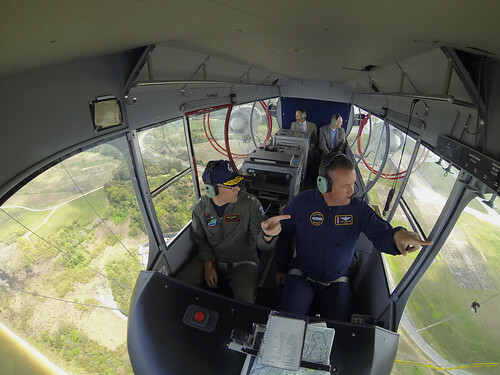 In that previous blog post, I gave the example of making the tough choice of whether to ride aboard the Navy's only manned airship or stay on the ground during an assignment. In that case, I concluded that I made the right decision by staying on the ground, but it still didn't lessen the fact that I wanted to ride in the blimp. 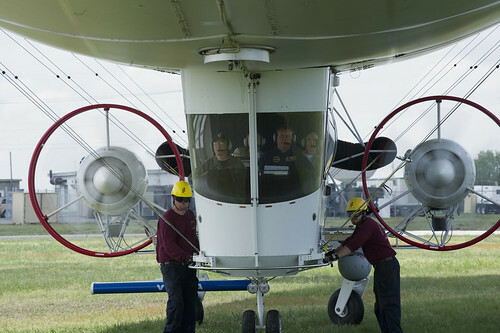 When assigned to once again photograph the blimp, I was sure that I would get the opportunity to ride aboard. After all, it only made sense, right? So imagine my disappointment when I received word the day before the assignment that due to newly installed scientific equipment, space was limited. Guess who was getting bumped? So did I cancel the shoot? Of course not, because after all I would still get to photograph the blimp. However, I did start to think about how I could get the photographs I wanted from inside the cockpit without actually being inside the cockpit. I briefly considered handing a camera to someone who would be on board, but somehow that never really works out. 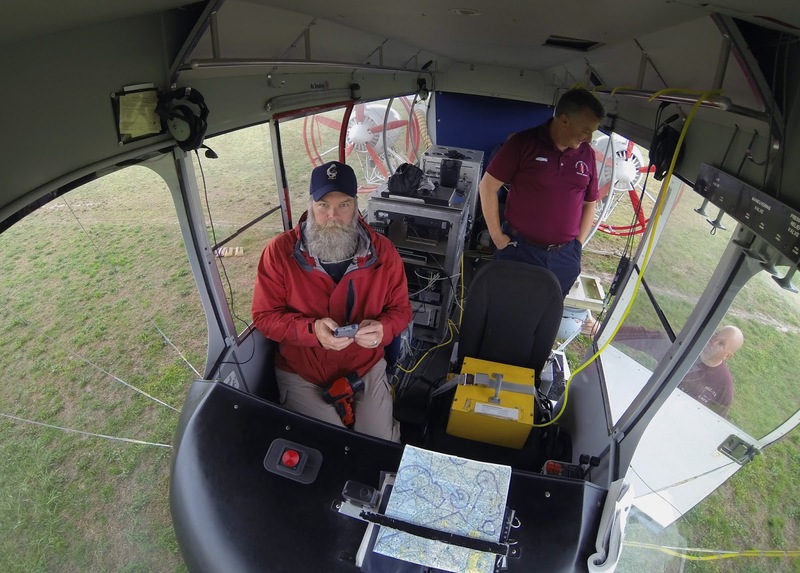 A test shot (selfie) after positioning and mounting the GoPro in the blimp. Even though I've been an owner of a GoPro for several years and have had some success with it, I just don't think I've ever really used it to its fullest. That is until I obtained the newest version. Using the App and Wi-Fi to control the camera has really made me want to use this camera more than ever before. Also, for some reason the ability to see what the camera sees, again via the App, really resonated with me. Once I made the decision to use a remote camera and take the viewer inside the airship, I called the squadron and let them know that I wanted to place a camera aboard the airship. I received the permission I needed, arrived early on the day of the assignment and using a suction cup mount , I mounted the GoPro as far forward as I could. I successfully pulled off the picture I had in my mind. Actually, I think this picture is better than if I was aboard, but don't tell the Navy that. 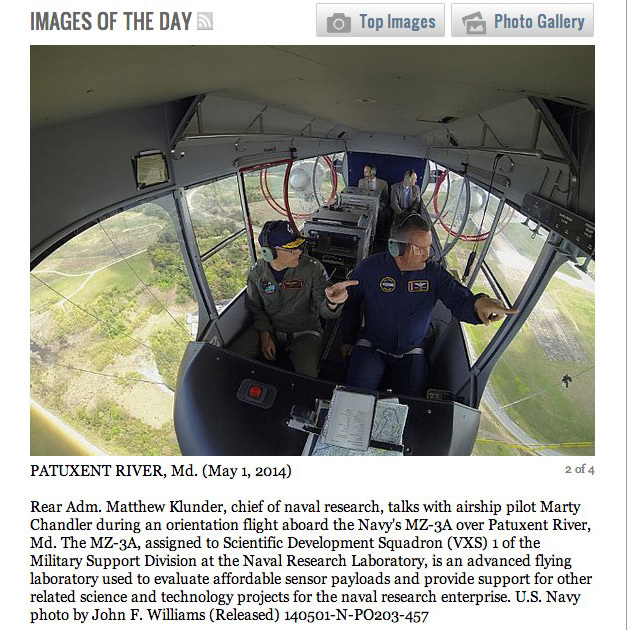 How the photo appeared on the home page of Navy.mil. 1. While it's always a good idea to get to an assignment early, if you plan on using remote cameras, then it is critical that you arrive early. You don't want to rush the process or not leave yourself some time to test everything out. 2. Be sure to let everyone involved know what you are planning on doing and seek permission if necessary. There may also be the instance when you need someone to turn the camera on for you. 3. As events begin to unfold, open the App and make sure that you are connected to the camera via Wi-Fi. 4. Obviously the GoPro is capable of shooting both videos and still photographs, but if it is stills you want, then consider setting the GoPro to shoot interval photographs, such as every five seconds or so. The video below is GoPro footage taking during the R/V Neil Armstrong commissioning. Once I started the camera, I was able to give my full attention to shooting stills from a position about 25 yards away. 5. Once you start the GoPro, I find it is best to forget about it and concentrate on the photographs you are taking. Worrying about the remote camera or taking the time to over monitor means you might miss a shot with the primary camera.